step 1: Write down your blocker’s phone number If you have the contact that blocked you saved on your phone, write it down somewhere and delete it from your phone. Go to Menu Button > Settings > Chats > Chat backup. Tap Back up to Google Drive and set up the backup frequency to your liking. You will be prompted to select a Google account that you will back up your chat history to. If you do not have a Google account, tap Add account when prompted. Please remember the Google account you are using for the backup. Tap Back up over to choose the network you wish to use for backup. Please note that backing up over cellular may result in additional data charges. delete your account. By deleting your number, it means you are no longer active on WhatsApp so technically, you cannot block someone who’s not on WhatsApp. Whoever blocks you will no longer have you on the blocked list. Step 4: Clear WhatsApp data Now go to your phone settings > app >WhatsApp and clear the data. Step 5: Reactivate WhatsApp Open your WhatsApp and register your number on the WhatsApp platform. This time, you are registering for the first time over again. Step 6: Restore Chats Restore your chat back up. After verifying your number, you will be prompted to restore your messages and media from Google Drive. NOTE: You need to restore from the backup on your google drive but if you didn't do so, WhatsApp will automatically restore the backup from your local storage memory which could beSDcard or phone internal memory as the case may be. 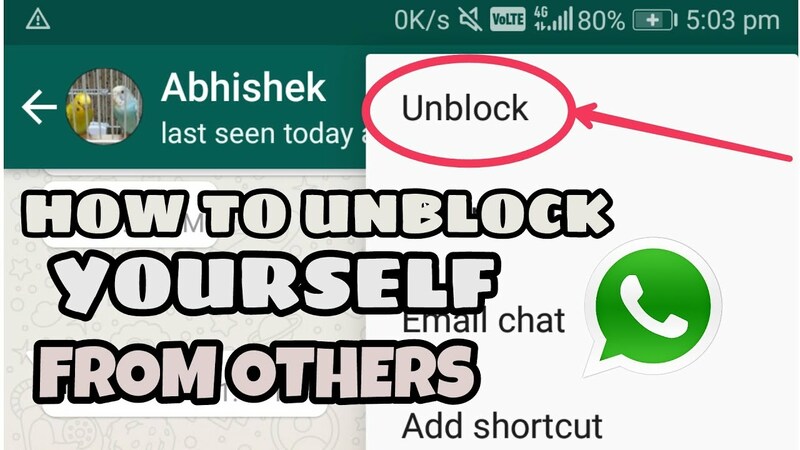 This is how to unlock your WhatsApp accountwhenever someone blocks you. This whatsapp is the modified whatsapp which will give you some extra features whats normal whatsapp gives you ! And many many other features .. discover it yourself ???? ..
Want To download Whatsapp Mod apk? ?